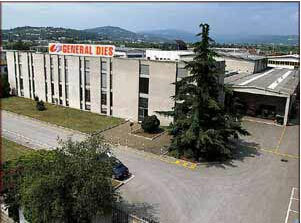 Rictec represent, General Dies s.r.l., a modern organization operating since more than 40 years to the service of the animal feed industry and of those industries which are interested in pelleting and in treating different products in dust, fiber, flakes and grains. Company experience and know-how, the advanced manufacturing technologies in the plant, the costancy and the skills of his technicians, they all guarantee the high quality of its products as acknowledged by the most reputable feed-millers and sugar plants worldwide. With a workforce of over 50 people, a well structured Engineering Department operating on CAD equipment, a manufacturing plant of over 5000 square meters, inside which are well melted highly automated NC Machining Centers and dedicated automatic traditional machines tool, the Company is a leading force in the international environment of the Pelleting Machinery Manufacturers. Dies, rolls, roller-shells and other spare-parts for all pellet-mills on the market, hammers and screens for hammer-mills.